InLife (Insular Life) partners with International Finance Corporation (IFC) to create a movement called InLife Sheroes. MANILA, Philippines — The time has come. Today we will no longer wait, and instead, start to take charge. Today we will learn of our value, instead of believing that we deserve less. This is what every modern Filipina needs to realize—that it all starts with her. Let’s face the facts: Filipinas represent 40 percent of the Filipino workforce and over 70 percent of secondary school graduates. While women today are better educated and have more access to finance, they have not adequately protected themselves. Thus, the risk of financial loss remains high as they still face the perils of economic, social and natural shocks. The Filipina, an essential part of our economic progress, remains at a disadvantage without the right tools and coverage to pave her way to financial freedom. Such is the reality that we at InLife (Insular Life), the country’s first and largest Filipino insurance company, want to change once and for all. As we recognize the power of women in community and nation-building, we partnered with the International Finance Corporation (IFC), a member of the World Bank Group, to create a movement called InLife Sheroes. InLife Sheroes is an advocacy that empowers every woman to become self-reliant and financially independent. 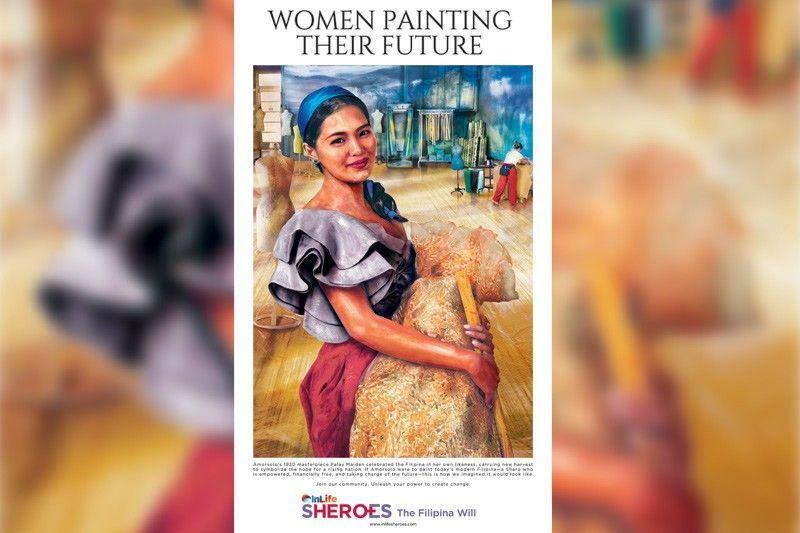 While there are many organizations to date whose mission is to empower women as well, InLife Sheroes offers something new to the table: women economic empowerment, because we believe this is a powerful catalyst in our nation’s progress. And so we’re calling us Sheroes—the women who have the power to build families, friendships, careers, community and the nation. We believe that great things happen when Sheroes from all walks of life unite in their goal to uplift their lives and the lives of their loved ones through their skills, hard work and sacrifice. That’s why we didn’t just put together a program with solutions that answer women’s needs. We’ve also started a movement that equips Sheroes with financial knowledge and support that will empower them to do the good they want to do. At the core of our initiatives is the intent to empower through education. Online, you’ll find a safe space where women can gain necessary knowledge and wisdom to enable them to live wealthier, healthier and more fulfilled. While you can find almost anything on the internet, our site holds content intuitively curated by women who know exactly what any woman wants: financial literacy, health and wellness, women-specific solutions, and connection to business and social networks. In this community, we talk about love, family, health, career, finance and everything in between. Through meaningful conversations, we will raise women up, enabling every Shero to get the most out of life. Additionally, there will be workshops and seminars on personal finance, women-specific health and wellness concerns, investing, wealth creation and preservation, estate planning, entrepreneurship and more. Meanwhile, a network for start-up women entrepreneurs will be established so that our Sheroes will have access to skill development, mentoring and B2B financial loans. All these will be available today. The best part? All you have to do is to sign up! Be part of the movement. Take charge. Be a Shero. Because your time has finally come. To sign up and get more updates on the InLife Shero movement, visit www.inlifesheroes.com.